Will PBS also be labeled "hateful"? Television producer Helen Whitney has been working on a documentary covering Mormonism for several years, and on April 30 & May 1, “The Mormons” will finally air on PBS stations throughout the country. The official web site of the LDS Church has already concluded that it is likely to cause debate. Whitney says “The Mormons” is a “complex film, a respectful film, but not an uncritical film.” If that last part is true, I think Ms. Whitney is going to learn a big lesson. When it comes to the Mormon Church, respectful and critical are not normally two words they recognize in the same sentence. You either praise them or you risk being accused of ignorance and/or bigotry. I wonder if the LDS Church will send the Anti-Defamation League hounds after Whitney if they find the content to be unappreciated. Will the ADL denounce PBS as a hate group like they did thousands of Christians who delivered the Jesus Christ/Joseph Smith DVD? It remains to be seen whether or not Helen Whitney really did her homework. 31 Responses to Will PBS also be labeled "hateful"? Bill, All Helen Whitney has to do is be factual, truthful, and not let any personal biases (if any)against the LDS enter the documentary and no one will lable it as “hateful”. If she takes things out of context or presents unfounded or false statements as facts, then maybe she could get a job at MRM because she would fit right in. I suspect that you would find that only those “facts” that are acceptable to the mormon church would be considered to be without “personal bias”. Anything, ANYTHING, that casts any doctrine or leader, past or present, of mormonism in a less than flattering light are automatically labeled as “anti-mormon”. I’ll accept anything, good or bad, if it is true. My problem is MRM presents things that are untruthful and out of context as fact. I simply hope Helen Whitney will present the facts, without bias. Finally, you and Bill from MRM need to realize that when you go after someones beliefs, they are going to fight back, so stop playing the role of martyrs. c) what has MRM presented that is untruthful or out of context? I detect a bit of anger. Remember that truth is relative. You will always believe what you want to believe as will others. I think the value of this site as with others that investigate mormonism, is the discussion. And to an even greater extent, the opportunity for those in or considering the mormon faith, to see more than one “truth” and decide for themselves. I may be way off base but I think many of you, Neal, Ginger and you, are investigating the other side. I say that because I know many mormons who would NEVER engage in discussions like this. I have tried to get some of my closest friends to take a look at some of the information and discussion. I want to hear their take but they refuse because it is not “faith promoting”. Many understand that any mormon involved in such discussions could not receive a temple recommend. I hope you are investigating. No one should go blindly into anything. And it is blind when you only see one side of the story. I apologize. I did not mean to imply that you are affiliated with MRM. MRM presents many things that are untruthful and out of context. For example, the site consistently states that the LDS Church is not a Christian religion. (For those who might read this blog take if from someone who is LDS, we most certainly are Christians). The site also deceivingly claims that Joseph Smith died in a gun battle. Joseph Smith was murdered when the jail he was placed in to be protected was attacked by a mob. Finally, MRM supported a recent DVD release that took many things out of context. If you don’t believe me, go to the FAIR website. I know, I know, Bill McKeever has already told me not to trust FAIR, but as “Interested” pointed out to me, it’s good to look at both sides. Interested, truth is not always relative. I can say that gravity does not exist, but that’s not going to make it true. I agree that you should look at both sides of things. However, since MRM clearly does not tell the truth, I’m not going to consider their side. For all of those who have come to this website to consider both sides, I offer these thoughts. It’s been said many times on the website, but I will say it again. If you want to know about the LDS Church, go to the LDS Church. You might think that this would give you biased information, but MRM freely admits they are biased. How can MRM claim to simply be presenting the facts, when they also admit that they are biased? Truth is not relative, beliefs are relative. Fact is fact and truth is truth. You can study and critique any religion, and you will always find faults. Why? Because if you don’t believe it, it’s not going to make sense to you. If you don’t have faith in it, then you aren’t going to understand it. Don’t listen to the opinions of those who claim to have all the facts, but don’t believe in the religion and don’t have faith in it. The LDS missionaries are not going after others religions, as Arthur said. They share a message, introduce the Book of Mormon, and ask if you would like to hear more. They leave it up to you to make the decision. This is the opposite of what MRM wants. They don’t trust you to make your own decision. They want to deceive you into believing as they do. Finally, if everything I’ve means nothing, just consider this. I have a firm belief in Christ. MRM tells me that I don’t. Why listen to any group that tries to tell you what you believe or don’t believe? Mike, I hate to Break the bad news to you, But Your Not a Christian, MRM Is not lying about this, I did an article on my Blog about that subject. First off, the Bible tells us, they were FIRST called Christians in Antioc, Yet the BoM uses the Word Christian, years before Jesus was even Around, So is the Bible wrong or the BoM? You have accused MRM of lying. Will you please be more specific? Can you tell me which part is a lie? Remember I have no stake in this, I just want to know where the lies are and what you see as the truth. Sorry to break the bad news to you, I am a Christian and I have a firm belief in Christ. That’s a bold statement to make considering you don’t know me. I’m feeling the “love” that you guys are always talking about. I am glad you wrote an article about it on your blog though, because I always go to your blog for my information. Interested, I don’t have a stake in this either. Go to the FAIR website to answer my DVD claim. The biggest lie of all is to say that I, and LDS member, am not Christian. I believe in Christ. How can MRM tell me that I don’t? That’s the most unchristlike thing I can think of. Has anyone ever considered that MRM might be wrong? Please don’t misunderstand. I am not distancing myself from MRM because I disgree with them, in fact just the opposite is true. I just wanted to make sure that no one who was reading assumed I was speaking in an official capacity as a representative of MRM. I have found, as a mormon apostate, that MRM is an excellent resource. As far as your claims. Mormonism stands far outside the pale of orthodox Christianity. What makes a church a Christian church has nothing to do with the name on the building. The Christ you worship is not the same Christ worshipped by Christians and not the same Christ revealed in the Bible. Again, as I and others have said, what examples of MRM lying or taking material out of context can you cite? I don’t know Bill McKeever but I am confident that if something he has written is shown to be false or misleading he would immediately remove the offending material. If the only example you can come up is to claim that the MRM description of the death of Joseph Smith is misleading or a lie, that is pretty shaky evidence, especially in light of the facts. 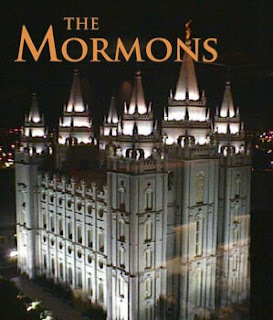 The facts may not show up in a mormon church produced film, but they are not in dispute. It may be a matter of semantics, as he was in a prison and a mob did attack the prison, but who knows if they would have killed Joseph and Hyrum if Smith had not opened fire on them? I think by definition, regardless of the circumstances leading up to it, if two separate parties exchange gunfire, it qualified as a gunfight. MRM’s goals and mine are the same. All we ask is that you examine the evidence. Not just the evidence of the mormon church, not just the “I have a testimony” but looking at what the Bible says, looking at what the history of mormonism shows and see what the truth is. I have searched and I have found that the claims of mormonism are not true. I am confident that if you examine as I have you will come to the same conclusion. Mike, So far on this Blog, two other people have claimed this blog has posted lies or is lying, I have asked both to provide evidence and they left and never came back. Now you claim the same thing, Please provide this evidence, Saying your a Christian and we say your not, is not showing us were lying. This is mainly a matter of difference of opinion. I showed you where Joseph Smith Shot people and others have said the same thing, Yet no reply from you, showing how that was a lie. I suspect you wont give evidence on that because if your honest you know as well as we do, Joseph Smith did shoot 3 people, So that was not a lie. My, my, my, everyone is tense today. Arthur, the Christ I worship is most definitely the same Christ revealed in the Bible. Sorry, but I know what I believe. “Misleading” is a good word to use, thank you. See, I told Mr. McKeever that is was deceiving to say Joseph Smith died in a gun battle. What I should have said is it was misleading to say this. Arthur, don’t argue the facts if you don’t know them. Hyrum Smith was already dead from two bullets (one coming from his back) before Joseph Smith ever used his gun. In addition, I hardly think a mob of over 100 people was coming to have tea with the Smith brothers. The intention was clear. Rick B, have you ever considered that people don’t come back to this site because all you do is make accusations, but never answer questions. That’s all right though. I know the history of my church. I have studied it extensively. I own the Comprehensive History of the Church books. The information you have comes from John Taylor, who received his information from rumors that took place after Joseph and Hyrum Smith were murdered. This information comes from the testimony of the “Carthage Greys.” The Carthage Greys were supposed to be protecting the jail, but there is well known evidence that the second bullet to hit Hyrum Smith came from the Greys. So, the information you are using comes from the mob’s point of view. This is why the Comprehensive History of the Church doesn’t use this information. Joseph Smith did fire the pistol he had been given. However, there is no evidence to show that three men were hit and two men died. Remember, the Carthage Greys were a militia. If two militia-men had died, there would be a more complete history of it. You all question my beliefs, but how do any of you know that the Christ you worship is the correct Christ. Because of the Bible? Which version of the Bible? I believe in the King James version of the Bible. Is this wrong? How do you know? I have answered a lot of questions here. I have examined the evidence and I have pointed out misleadings and things that are not true. So please stop asking me to point these things out. Please stop saying I don’t believe in Christ. Just answer the many questions I have put forth today. Mike said My, my, my, everyone is tense today. Arthur, the Christ I worship is most definitely the same Christ revealed in the Bible. The Bible teaches Original Sin, The Bible teaches the trinity, The Bible teaches One heaven Only not 3, The Bible does not teach we were alive before the world, the Bible does not say, we need priesthood authority to do this and that, The Bible does not teach Lucifer and Jesus are brother. Do you believe all of this? If not then your not a Christian, Read Gal 1:8-9. Mike said Rick B, have you ever considered that people don’t come back to this site because all you do is make accusations, but never answer questions. First off, your assuming this is why people don’t come back, then your assuming I never answer questions, that’s not true either, Then I could argue, people don’t come back because they cannot handle the truth, They like you say, you guys Lie, yet when I ask, What lie, nothing is ever stated. Mike, I have some really bad news for you that I don’t think your going to like, According to the Account given in History of the Church, Brother Taylor claims to have been in the Jail When Hyrum was killed and he saw Joseph Smith Kill those men, It states as soon as he (JS) had discharged it he stepped back, and I (John Taylor) took his place next to the door while he (JS) occupied the one I had done while he (JS) was shooting. So Mike, Mr. Taylor claim to be an Eyewitness, Did he Lie? Are these rumors as you suggest? What’s the deal? Mike said So, the information you are using comes from the mob’s point of view. No mike I am quoting Mr. Taylor, Not the Mob. Mike said Joseph Smith was a “lamb to the slaughter”. How can this be true, He tried jumping out the window to escape, This was said About Jesus, So me where he tried to run away, or even Fight back, He rebuked peter for trying to defended him, Jesus could as he said, called legions of Angels, Did he? No. Did Jesus find another way? Did the Cup pass from Him? No to both, so he did Die, their fore not only are you wrong, but you cannot compare saying a prayer to Joseph Fighting back. Mike Said You all question my beliefs, but how do any of you know that the Christ you worship is the correct Christ. Because of the Bible? Which version of the Bible? I believe in the King James version of the Bible. Mike How can you be sure the Bible is correct, The LDS Church teaches it is not Correct, A of F 8, Joseph Smith said the German Bible is the Most Correct, so why don’t you use that one? D and C teaches God told Joseph Smith to “Correct” The Bible, that is why LDS have the Joseph Smith translation, Why not use the “Most Correct” Bible? I know, LDS feel it is corrupted because the RLDS own it, but why would God say to “Correct it” But then allow it to be corrupted? Speaking of JS, Mike said, He had the opportunity to leave Nauvoo and head West, yet he went to Carthage to await certain death. I have never read that. I thought he was arrested and put in jail in Carthage. Did he have a choice? We are getting a bit lost here. I think it would be useful to narrow the focus down, rather than getting belligerent about the disputed circumstances surrounding Joseph Smith’s death. Those men should not have been attempting to drag Smith out of prison, and they certainly should not have shot him, any more than Smith should have destroyed a printing press publishing unflattering articles about him. No one is attempting to justify those actions, whether or not the events happened exactly as described by this account or that account. But those events, like the Mountain Meadow Massacre, are secondary issues that I don’t believe get to the heart of the differences between mormonism and Christianity. A primary issue, one I would like to explore further, is the notion that mormons are Christians and that, as you say, the Jesus you worship is the same as the one revealed in the Bible. You must certainly recognize that the Jesus Christ I worship and the Jesus taught by the mormon church are not the same, and indeed are completely incompatible. I would argue that the Bible, whether the King James, or New King James, or NASB or ESV or NIV supports the traditional orthodox understanding of Christ and does not support the mormon version. The two cannot be reconciled. Either Christ is God, eternally co-existent with the Father and the Spirit or He is a created being. He cannot be both. It is a definitional issue. Someone saying “I believe in Jesus Christ” is a meaningless statement without a definition of who Jesus Christ is and what He has done. It seems to me that some important points have been made but one stands out to me. That is the quesion of the Christian Jesus and the Mormon Jesus. I have read much about both and I have to agree with Arthur and others, the Jesus of the mormons is different. I don’t think I have ever heard a Christian say that Jesus and Lucifer were brothers. That would be heretical to most Christians. As always I thank you for telling me that my beliefs are wrong. That is very Christ-like. You’ve learned a lot from the MRM website. You have mastered the ability to stretch the truth of a story to fit your biased opinion. You quote John Taylor, but the quote says nothing of seeing two men killed. In fact, what you should have quoted was, “I afterwards understood that two or three were wounded by these discharges, two of whom, I am informed, died . . .” Now, take this and read what I already said. The information he was “informed” of came from the testimony given by the Carthage Greys, the mob’s point of view. Man, I get tired of having to repeat myself. Interested, Joseph Smith was not officially arrested. He and Hyrum Smith were to go to Carthage for protection during the trial. This protection Joseph knew would never exist. Arthur, I used the martyrdom of Joseph and Hyrum Smith to show where MRM was being misleading. I do agree with you, however, that we are way off the point here. Arthur and Interested, I would love to discuss my beliefs with you. There is nothing I would enjoy more than sharing the testimony that I have of Jesus Christ. Yet, I will not. I do not want to waste anymore of my time sharing my beliefs with those associated with MRM or this website. Why? Not one of you asked me, up until now, to share my beliefs and tell you why I am a Christian. This started from the first time that I saw this website and Bill McKeever told me that I was not a Christian. Then Rick B. said, “Mike, I hate to Break the bad news to you, But Your Not a Christian.” Arthur told me the same thing. You say look at both sides, but you didn’t care what my side was until now. Does it not seem unchristlike to point your finger and say, “you are not a Christian?” It is pointless to defend myself to a group who hates what I believe in. None of you believe what I believe, none of you have faith in what I have faith in, so none of you can tell me who I am or what I believe in. I will not bury you in scripture references to prove what I believe. Your hearts are not open to hear what I have to say. A Christian is a follower of Jesus Christ, a disciple of Jesus Christ, one who is Christ-like. I am a follower of Jesus Christ. To be Christ-like is to show love and there is no love at MRM. In the end, it doesn’t matter what Bill says, or Rick says, or what Arthur says. In my heart and in my mind I know that I am a true follower of Christ and that He loves me. That is all that matters. Mike, You have a bad habit of not listening. You also have a bad habit of twisting facts. Mike, those who know me know that I am always reluctant to make personal statements like the one you accuse me of. If you do not publicly apologize for this false accusation, you are no longer going to be welcomed here. Let me apologize to you for the incorrect way I said something. When I said, “”This started from the first time that I saw this website and Bill McKeever told me that I was not a Christian,” I was referring to the article you had written titled “We’re Christians Just Like You”. In this you argue that Mormons cannot be Christians. I should have made it more clear that I was referring to this article and not something that you have personally said to me. It doesn’t change the fact that your article says I am not Christian. I do feel it is unfair for you to say that I have a bad habit of not listening and a bad habit of twisting the facts. What have I said or done that would lead you to believe this? While I might not have always used the best tact, I have fought hard for my beliefs. Just as you do not like to have your character questioned, neither do I. Will you publicly apologize to me for the things you have said about me? Mike said As always I thank you for telling me that my beliefs are wrong. That is very Christ-like. Mike, Sadly LDS do the same thing, they just deny it and avoid the subject. Is it not true Mike, that when LDS knock on my door, they will tell me the LDS Church is the ONLY TRUE CHURCH. This means the Church I go to is wrong, Mike this is not very Christ like. Mike I can show you Chapter and verse where Jesus and the apostles did things that you could argue were not Christ like. Jesus made a whip of Cords and flipped over the money changers tables and set their birds free. Not very Christ like, telling people their wrong. Paul said, if anyone does not LOVE the LORD JESUS CHRIST, He will be damned. Wow not very Christ like. What about Paul telling the magician he will be blind for a season, then he went blind. Mike says You’ve learned a lot from the MRM website. You have mastered the ability to stretch the truth of a story to fit your biased opinion. You quote John Taylor, but the quote says nothing of seeing two men killed. Mike, How are you being Christ like here? You accusing me of lying, when you never asked me if I own the book I quote from or not. You assume I got my information from MRM. I own the Book I quote from and read it myself. Then It states John Taylor was in the Jail with Joseph Smith, Taylor states he saw JS pick up the gun and shoot 3 people. Does it matter if these people really died or not? The fact remains Taylor saw JS shot them. Either way, JS was in a gun battle. Then you accuse Bill of things he never said, So it shows your not Christ like. If you read this, your in a real pickle here, If you just up and leave and do not reply to Bill about your accusing him, and dont reply to me about the charge you made of me lying, then it looks bad for you, another LDS person who needs to lie and decive. I am not in a “pickle” at all. Read my previous post and you will see that Bill and I had a misunderstanding, which I have apologized for. I have never claimed to be perfect. In fact, no one in my church claims to be perfect. Now, as far as being Christ-like: Are you comparing yourself to Jesus and His Apostles? Are you comparing yourself to Paul? Nice use of the Bible, but I can find numerous scriptures commanding us to be Christ-like. As far as me accusing you of lying: I know from your previous posts that you own the book which you reference. I did not claim that you got your information from MRM. I said you have learned to stretch the truth like MRM does. You are still wrong in what you are saying. Nothing in what John Taylor is quoted as saying, says he saw Joseph Smith shoot three people. Is says that only three shots were discharged. By the way, you accuse me of not being Christ-like, but Bill has accused me of “twisting the facts” (which I have asked him to apologize for), was he being Christ-like when he said this? Mike you said Read my previous post and you will see that Bill and I had a misunderstanding, which I have apologized for. I said what I said before you posted your reply to him, So I did not have your newest updated info. Mike you said I did not claim that you got your information from MRM. But according to what you said here, it greatly implys that is what your saying, You’ve learned a lot from the MRM website. You have mastered the ability to stretch the truth of a story to fit your biased opinion. You never mention you knew I had the Book, so it appears your saying I took info from the MRM website and implys I lied. Mike you said You are still wrong in what you are saying. Nothing in what John Taylor is quoted as saying, says he saw Joseph Smith shoot three people. Is says that only three shots were discharged. No Mike, you are wrong and possibly even twisting the facts, Here is why. I sit here right now trying directly from the History of the Church, word for word, We read, pg 102, I (MR. TAYLOR) shall never forget the deep feeling of sympathy and regard manifested in the countenance on Brother Joseph as he drew nigh to Hyrum and leaning over him, exclaimed OH! my poor brother, dear brother Hyrum! He however, instantly arose, and with a firm, quick step, and determined expression of countance, approached the door, and pulling the six shooter left by Brother Wheelock from his pocket, opened the door slightly, and snapped the pistol six successive times; only three of the barrels, however were dischgarged. So Mike, How could Mr Taylor claim to know exactly the look on JS face, or his countance, if he was not in the room with him? He was their and it states by his actions he was their, and he claims to have saw JS pick up the gun and fire it, so again, the point is not, who died or did they, the point is, JS fired a gun at people, so yes he was involved in a gun battle. This whole exchange with “mike” is unfortunately typical of trying to evangelize mormons. The conversation invariably spins into offshoot issues, accusations of hate and misrepresentation and finally when pinned down, we get the “I have a testimony” response and the conversation ends. I thank God that He changed my heart, otherwise I would be just like “mike”, with a heart hardened to the truth. I agree with you from an earlier reply about the main points, like Who is Jesus, for example being more important than Did JS shoot someone. My point in what I posted was, Mike claimed by his actions I lied, he boldly claimed MRM twisted the facts, and he brought up, the jail with JS as his example. Mike went on to claim Mr Taylor was not in the jail, I showed he was, Now all of a sudden, Mike seems to me missing. So either Mike made a false accustion and cannot admit to it, or he does not really know what his believe teaches. If their really is a third choice on this that I am missing, maybe Mike could fill me in. That was why I kept going on about it, I kept adding more info, that Mike claimed was false. None of you “pinned me down” as you say. No one asked me my beliefs until after numerous accusations were made about my beliefs. Again, I say it is pointless to defend myself to a group who hates what I believe in. My heart is not hardened, yours is. However, I will not have my character questioned. This is why I responded to Bill (who has yet to apologize to me like I apologized to him) and why I will respond to Rick B. Rick, I have never once said that John Taylor was not in the jail. This is basic history. Don’t you think I know this? You keep presenting things as fact, that are not fact. So please, listen! John Taylor said, “I afterwards understood that two or three were wounded by these discharges, two of whom, I am informed, died.” This information came from testimony given by the Carthage Grey’s. Was John Taylor in the jail? Yes, I never said he wasn’t. Did he ever say he saw anyone get shot? No. He said “afterwards” he understood some were wounded and two died. So stop saying I falsely accused you. I have presented the facts and strangely you never respond to them, except to accuse of lying. Mike, It’s like this, You said that JS was not in a gun battle, That was the orinigal point you made, you claim MRM was twisting the facts, We got side tracked with the fact JS shot people, Arthur and me both said, it really does not matter if he killed anyone or not, the point was he did pick up a gun and shoot back at people, this alone proves he was involved in a gun battle. If someone shoots a gun at you, and you never return fire, then they shot at you, as soon as you return fire, your involved. About the issue of the “Greys” talking with Mr, taylor, I agree, It seems pretty clear to me, Mr taylor was not about to run out the door and examine the people that were shot by JS to see if they were dead or not. Now as far as you go not sharing what you believe because you feel we are hardend to what you believe, you do whatever you want, I personnaly believe you choose not to share for the simple reason of, you will show everyone what the LDS believe or you as an LDS believe. This will clearly show that your gospel is truly different as we are stating. I will share what I believe even if I feel you will never listen, I share for the people who read that never reply. Plus the Bible tells me to be ready to give to every man an answer that asks for the hope that lies with in me. The Bible DOES NOT SAY, Judge the person who asks you for the hope that lies with in you, if you feel they wont listen then dont share with them. I tell people all the time, I did not except Jesus as Lord and saviour till I was 21-22 years old, So that was many years of rejecting Him. So you can say, I dont want to hear, but it should not be your place to judge my heart as to if I want to hear or not. You have made a good point in what you said about sharing beliefs at the end of your last post. I had to stop and ponder what you said, because I agree with you. If someone asks to hear “the hope that lies within me,” then it is not for me to judge whether they will listen to it or not. Lest you think that I am unwilling to share my beliefs, I have always been willing to share them. Some have listened. Some have slammed the door in my face. However, the crucial phrase in what you said is, “the hope that lies within me.” Can you honestly say this is what you wanted to know from me, or did you want me to share my beliefs so you could try and prove that I am not a Christian? When I first said I was a Christian you did ask me what my beliefs were. You simply told me that I was not a Christian. You judged me from the beginning. This was my original point and continues to be my point. Maybe I am judging you, but you are communicating with me through and siding with an anti-Mormon website that takes everything that I believe in and hold sacred, and try’s to destroy it. Given all of this, it is hard for me to believe that you want to know “the hope that lies within me.” It’s more likely that you want to try and publicly prove me wrong. Am I wrong in this thinking? Mike, I think it is unfortunate that these conversations come to blows. It seems as if everyone has an agenda and nothing is ever really settled. I am not a christian or a mormon but I find it difficult to understand your reluctance to come out with what you believe. We have all heard the Adam/God story, the Mother and Father Gods and the spirit babies, that men can become gods and rule distant planets, that Jesus and Satan are brothers. Where do you stand on these things? Is this the “meat” after the “milk”? Have you not gone that far in the doctrine? If not why not and how long does it take to get to the top “degree” or what ever term is used? I just don’t understand why you won’t come out and clearly state that you believe these things. I for one have never heard a mormon speak of these things and give an understandable explaination of how it ties into the bible teaching. You asked earlier that I go to FAIR for answers but I did not find clear answers or statements of belief only defense of what christians say you believe. Go to the depths, untethered and tell me about your beliefs. A few reasons why I never asked you personally and said, Mike, Tell me exactly what you believe, is for this reason. This blog as all blog’s are not open forums where we can pick a subject and have at it. Certain questions are asked by the author of any given blog, I try and stay on course as best I can, but questions do arise when replying to a topic. No topic yet called, What Mike believes. Now you say I tell people what you believe, that is not exactly true, I say, I study mormonism, Quote only from books I own, no other sources, unless I quote someone who replies. So far I have yet to say, LDS believe this or that, and have an LDS reply with, Rick your lying, that’s not true. Example, Ginger asked me, why the Big deal about the WoW, I said, you cannot be saved unless you obey it. Not a single reply yet saying, Rick that’s not true. Sadly I can back it up showing the LDS church teaches this, So If an LDS said I lied, I would present my evidence and ask, who is wrong, the LDS church, or the person calling me a liar. Another Example I gave before on this blog was, Adam God, it is clear BY did teach it, You might no longer believe it, but the fact remains, It was taught, so again, I did not lie. Not agreeing and lying are not the same. I said, LDS deny the trinity, they hold to 3 different heavens, Lucifer and Jesus are brothers, LDS teach they can become Gods, they teach Millions of Gods, Are these correct that your Church teaches them? If so, then how can I be told, Rick, why are you telling me what I believe, instead of asking what we/I believe. I listed what you or your church teaches, and you agreed. So how am I wrong. Then You said When I first said I was a Christian you did ask me what my beliefs were. You simply told me that I was not a Christian. You judged me from the beginning. How can you say your a Christian. It is clear we do not believe the same things, Either your a Christian and I am not, or vise versa, but we both cannot be Christians. Then I said before, and you never replied, You claim I am judging you by saying you not a Christian, Yet the LDS missionaries who knock on my door, tell me they are part of the ONLY TRUE CHURCH. So in effect, your Church is judging me and telling me I am wrong. Then lets add what the BoM says, Their are ONLY TWO CHURCH’S, The church of the lamb and the church of the devil. Well if I am not part of your Church, I must be with the Church of the devil, How is this different from what I do? Then I have said many times, I share Christ with LDS, Because I believe as Paul in Gal 1:8-9 you have a different Gospel. You will end up in hell for all of eternity if your wrong, So if I am correct, I would be loving on you to tell you the truth. Then I am still waiting for an answer from the LDS on what Sharon posted about How the LDS church said what they did to the Catholics and waiting for a reply to my reply under that topic. I am reading old articles from MRM and this one grabbed my interest. I ordered a Bible from the LDS site, ( wanted to see if they changed any of it or if the JS translation would be in it, it was to be mailed to me according to the site, but no two MM are coming on Thurs.) I was very honest and up front and told the MM that I would not be interested in their 6 talks, that I was Christian. They insisted on coming and on Thurs. I am sure will present their talk in a calm loving voice,( this is the loving part, but not Christian), but will not be honest with their “real” doctrine. I have been through this before with mormon friends. If I ask any real questions or have any “concerns” or voice my believes, I will be labeled “antimormon”. Mormonism itself is so anti-Christian. Just stating that they have another book regarding Christ, the true church, more knowledge… well you know how it all goes. Think of me on Thurs. Thanks for allowing us to intercede when the MMs come to visit. May God grant you wisdom and insight. May He protect your heart and mind, keeping you safe. Do expect the Bible to be a copy of the KJV with a new fly page with the LDS church. If you want a copy of the JST, it’ll have to be purchased through the Missouri branch . . .